Hygloss Striped Straw Beads are a favorite craft bead for young children. These multi colored opaque striped beads are strong and durable, and have wide holes. That's easier beading for small hands! Package includes Beading Thread. 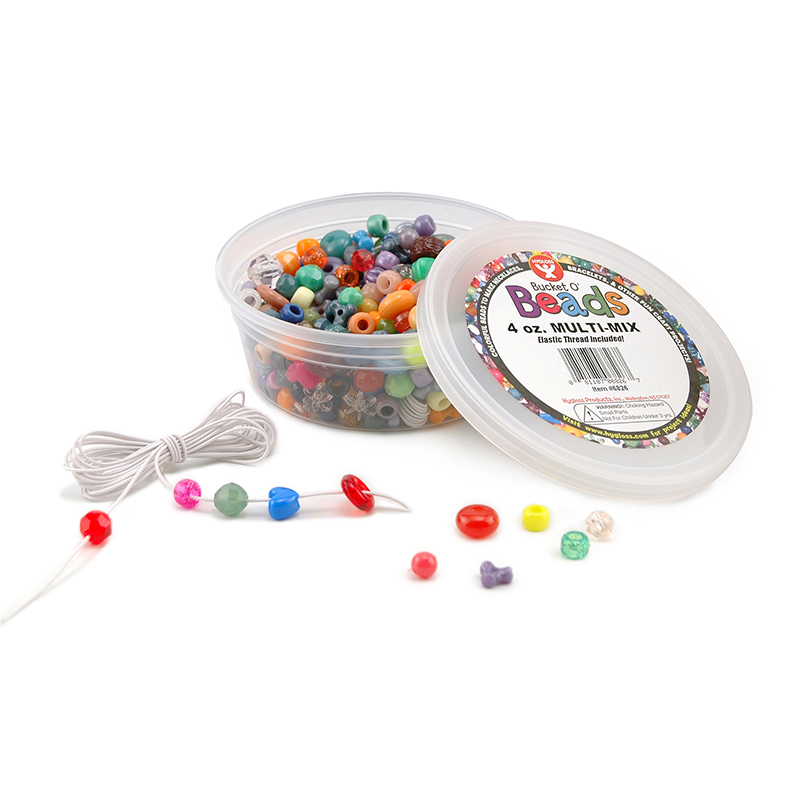 Beads are sold in buckets, making it easy to clean up and store for later use. 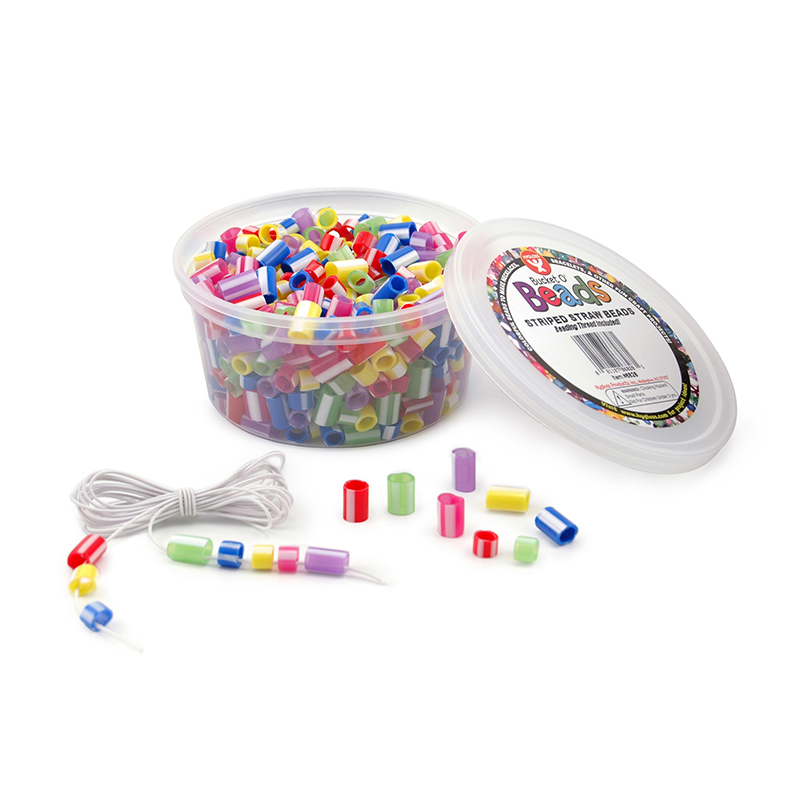 Each pack includes 300 beads, handy storage container, and beading thread. Sold as a bundle includes 5 packs. The (5 Ea) Striped Straw Beads can be found in our Beads product category within the Arts & Crafts.